Why are we less forgiving of Ralph Northam as governor than as a doctor? I doubt this weekend is the first time anyone has laid eyes on the racist picture published on Virginia Gov. Ralph Northam’s 1984 Eastern Virginia Medical School yearbook page. Yet over the past few decades, the offensive photograph had not created any obstacles for the doctor-turned-civil servant as he pursued a career in pediatric neurology. Now, with the photograph being hotly debated on cable news, many politicians, including those in his own political party, are suddenly calling for Northam’s resignation, arguing that he has surrendered his moral authority as a leader and tainted his ability to govern. Why are we less forgiving of him as a politician than we were when he was a practicing doctor? 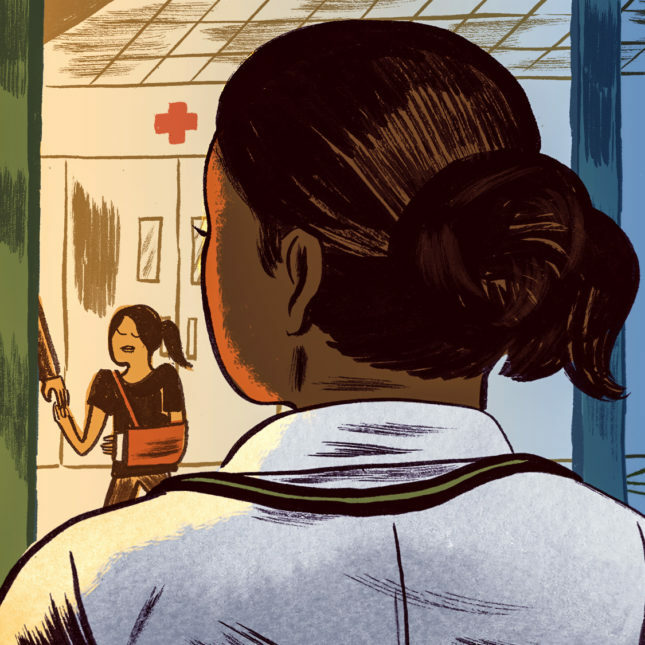 Racial bias in medicine, either implicit or explicit, undoubtedly taints our ability to care for patients. Many studies show that it contributes to poorer treatment and health outcomes for black and minority patients compared to white patients. Yet, physicians who harbor this bias rarely get held back or suffer severe professional consequences. When I heard the news about Northam, I was obviously horrified, but no more horrified by the image than any of the other racial injustices I’ve seen on the medical wards. I didn’t immediately agree with the calls for his resignation — and that surprised me. 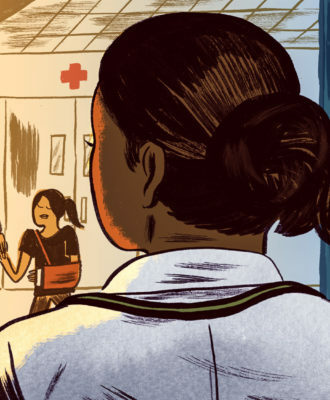 I reflected on my own experiences facing bias and bigotry throughout medical training and realized that I’ve never wanted or expected any of my colleagues to be fired or kicked out of school. My wish was for each doctor or doctor-in-training to listen to feedback, apologize for their mistakes, and learn from their lapses in judgement. Each of us has made a lifelong commitment to learning how we can best serve our patients. It’s a commitment that allows us room to exercise humility when we make mistakes and change our behavior when it both undermines the humanity of others and the promise to do no harm. I know I have grown in learning how to care for patients much different than myself, and I feel tremendous gratitude toward the people who have gracefully shown me how to do it. This is the path Eastern Virginia Medical School took in 2013, when another racially offensive photograph was published in the school yearbook. It depicted three medical students in Confederate uniforms posed in front of a Confederate flag. As reported by the Washington Post, these students were not expelled from school, but rather offered counseling and sensitivity training. I’m thankful medicine is a forgiving profession, but I know there is a thin line between forgiveness and failure to do anything about racism and discrimination. These issues are hard to address and so they often aren’t. Health disparities persist when no one corrects mistakes and there’s no opportunity to listen, apologize, or learn. We must face bias head on, or risk repeating our preventable mistakes. To be a healer is to recognize that medicine is a fundamentally human enterprise — we are all flawed and make mistakes, and sometimes these mistakes can cost people their lives. Doctors don’t get “canceled” or forced to resign whenever we err. By being open about these mistakes, we can identify the root causes and work collaboratively to prevent them from causing harm again. When we know better, all of us are able to do better. Medicine is not perfect, but I remain hopeful and open-hearted because I believe in my profession’s commitment to progress. Our news gets truncated and distorted in venues like this. The dicussion might make some physicians and providors uncomfortable, or allow the public to get insight into how racism, bias and corporate healthcare is killing people. Hello Dr. Okwerekwu. I enjoyed your article, although I must say that I felt somewhat mislead by the title. I thought that it might have referred to the avalanche of criticism that Governor Northam received for his disgusting “blackface” photograph but virtually none for Doctor Northam’s defense of killing an infant after delivery “because of medical concerns”. I am a pediatrician in Florida, and I am the physician for quite a large number of “damaged” children, many of whom technically are no longer pediatric patients as they are in their early twenties. However, I continue to see them because internists want no part of caring for severely damaged or delayed young patients, and frankly, that is fine with me because I draw renewed inspiration each time I am allowed to participate in the care of these patients. They are, for the most part, raised and cared for by amazing women, as most of the “Dads” have long ago fled the coop. And these moms have NEVER ONCE indicated to me that they wished that their child had not been born, and we have had many sensative and difficult discussions over the years, so they had many opportunities to do so. Are you, like so many in the media, perfectly willing to ignore what, to me, is the bigger travesty here. Yes, a grown man absolutely should know better than to participate in such a shameful and patently racist photgraph, but a caring doctor has absolutely no business defending killing children after birth for ANY reason. I am not really a religious man. I participate in no organized religion, although I was born Jewish. My religion now is humanity, and striving daily to be a better person. And, to me, that starts with defending the defenseless. I wish that you had devoted just a few words of your otherwise well-written essay to this point. Unless you, like seemingly most of the media that have covered this story, really don’t care about these babies, and really would rather take on only one aspect of this story. And if that is the case, then I am sorry I wasted your time. And if it’s not, then maybe you will devote another essay to the other, frankly more important issue, because the death of innocents trumps virtually all other concerns (absolutely no pun intended. I couldn’t think of a better word). I am pro-life and for years was a single-issue voter. However , over the years I’ve seen the loss of life, potential, and health suffered by people who were born with brown skin. Abortion is horrific, but so is the neglect and oppression African-Americans experience in this country every single day. The media certianly glossed over doctor bit, and the fact that he was attending a medical school. That indicates that ths kind of pernicios overt racism, is so systemic it does not get discussed. Racsism, misogyny and backwards thinking is prevalent in the medical industry. Event the reseach is tainted due to this refusal to fact facts. We don’t ever hear a physician calling out this kind of behavior when it leads to the deaths of patients. Data came out about the mortality rate of black women and infants, instead of investigating and adressing the issue, the industry created a vile counter narrative. The Racism is well documented, yet there is still denial. Where you disturbed by his comment concerning the killing of a new born living baby? That never happened, and no live babies are killed. You were lied to by manipulative evil people who will stop at nothing to divide this country and spread misinformation. Doesn’t seem like very many columnists, physicians, politicians or members of the public were nearly as disturbed by the idea of killing innocent newborns as they were by his racism. Racism is terrible, but murder, and that’s exactly what we are talking about, will destroy the fabric of civilization faster than ANYTHING else. It’s very difficult to quantify evils, but if we live in a society that isn’t aware that murder is THE cardinal sin then we don’t have very much time left as a society. The reason I feel that Northam should resign isn’t 100% because of his past. It is due to his current reaction to his past action. Tell the truth, sound humble and actually apologize, none of which he has undertaken. I also agree with norwood; when a person is responsible for governing an entire state, writing policy, having a big picture view, which can/will impact all the citizens, the similarities to practicing medicine are nowhere close. Because Ralph Northam currently holds the governorship of a state, thus giving him much more authority than the average doctor in the law-making process. The policies he supports reflect his incompetence at least as well as his past does. I’ll debate the Truth with anyone but Americans as a majority are stupid. Democrats come out and compare Republicans to Nazis and they are the people killing the most helpless among us. All the worthless Democrats crying for socialism and the “New Green Deal” have never been out of this country. I have been to countries on 5 different continents including China and Venezuela. That’s how I know socialism doesn’t work and if you idiots think the United States like 7% of the world’s population is going to make any difference in global temperature no matter what we do, go shoot yourselves in the head since we’re going to be dead in ten years anyway and you are too stupid to be alive!!! I saw a political talk program yesterday or the day before in which it was asserted that the Democratic party now has zero tolerance for racism or sexual harassment. That seems like an accurate assessment. In the last couple years, we’ve entered a new normal. Past acts will be viewed through the new lens. Correction. Past acts are viewed by the majority with a new lens. In 1984, you’d find very few African-Americans that would want to see a man in black face standing next to a man in KKK garb in their yearbook. The Confederate flag didn’t suddenly become inappropriate to African-Americans after Dylan Roof murdered those church groups. I’ve hated it for decades.